Flower delivery in Singapore is not as expensive as it’s often made out to be. Neither are they only meant to be given to your special someone or just on a special day or occasion. Hint: girls (and even some guys) love getting flowers at random. 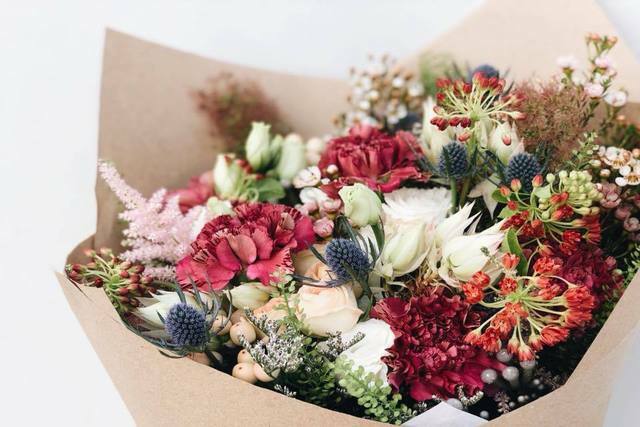 Even if it isn’t her birthday or a special occasion, surprise them with blooms from these online florists in Singapore — they’ll love you more for sure! The Bloom Room prides itself in sourcing flowers from fields across the globe so you’ll have an exotic variety to choose from. All you’ll have to do is pick your preferred flower arrangement style and leave it up to the folks at The Bloom Room to create magic with the seasonal blooms they have on hand. If you’re looking for flowers that’ll last, pick faux flowers or create a bespoke faux flower arrangement of your choice. 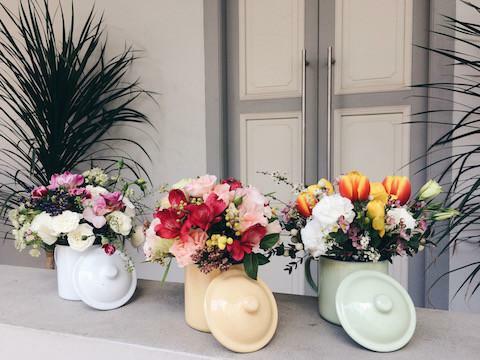 You can also choose to have them tuck your posies into these cute vintage enamel mugs! Want to brighten your living space with pretty table centrepieces? Simply send The Bloom Room a photo of your living or working space and let them get back to you with ideas! How neat is that? The Bloom Room charges a standard fee for flower delivery in Singapore so do take note of that when placing your orders! 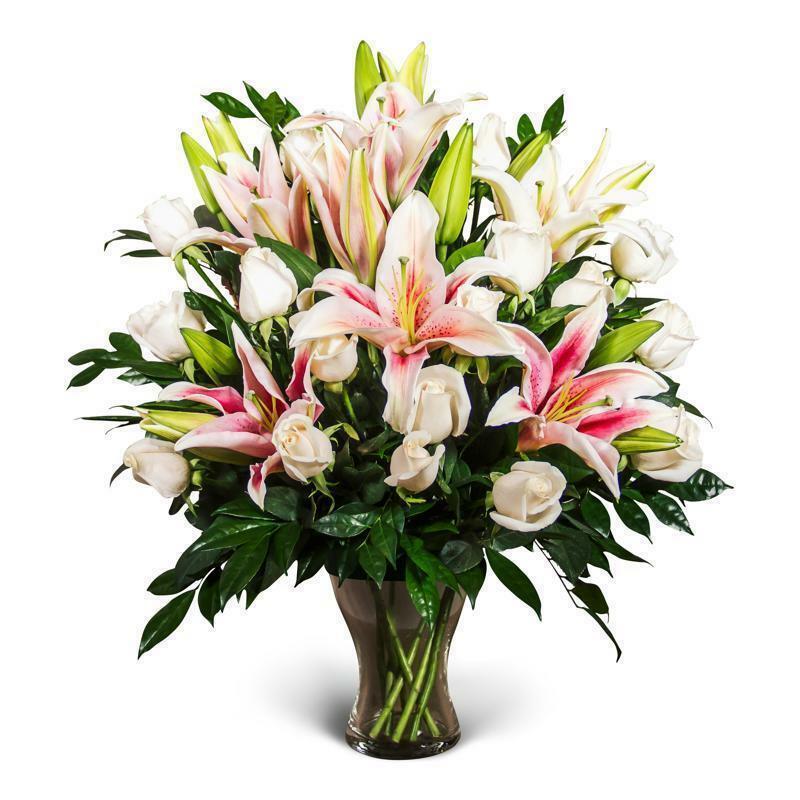 Far East Flora sells a range of beautifully arranged flowers for that special someone. Choose from a selection of bright and deep coloured flowers bundled with wispy baby’s breath and vibrant hues of roses among many other types. The flowers used in bouquets are even flown in daily to ensure freshness! Want to include a box of chocolates or a soft toy along with the bouquet? 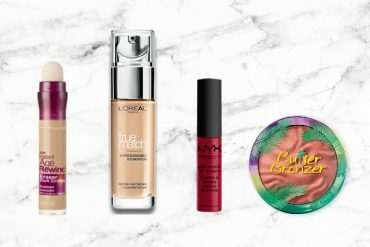 Pick their bundle deals then — we hear they’ve special ongoing ones for V-day! To avoid disappointment, make sure you reserve your bouquets early from this flower delivery online store in Singapore! Suddenly remembered your anniversary and scrambling to find a way to redeem yourself? If you order before 1pm, Flower Chimp promises same-day delivery absolutely free of charge! 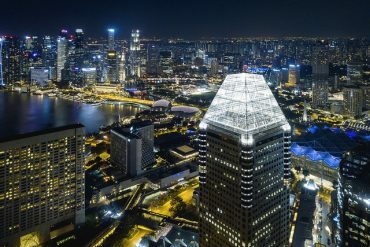 Although a fairly new player in the flower delivery scene in Singapore, Flower Chimp has already established a satisfied fan base. With free delivery, Flower Chimp ensures that you pay solely for your bouquet and nothing more. Does your special someone have a sweet tooth? 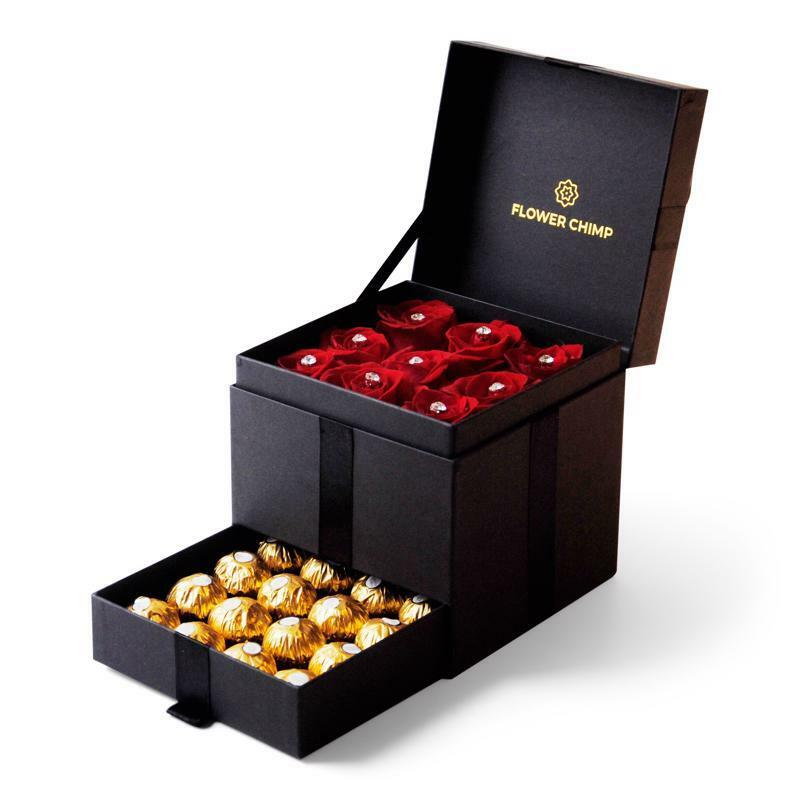 Then they’re going to love Flower Chimp’s Trinity Boxes — a box filled with nine fresh roses, adorned with gems in the middle plus 16 Ferrero Rochers! 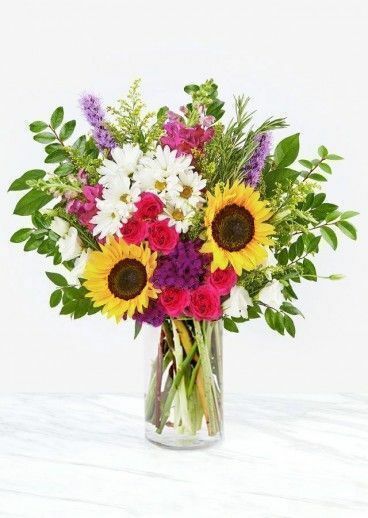 Want to send flowers to someone across the pond? 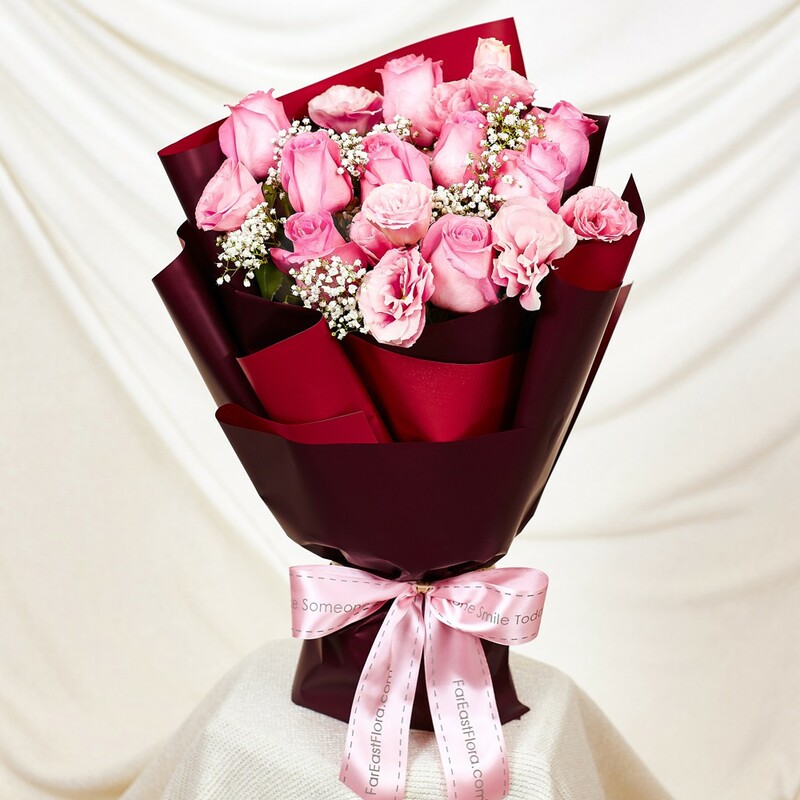 This online florist also delivers to Malaysia, Philippines and Indonesia! Happy Bunch charges an affordable $35 onwards for flower deliveries across Singapore. Think you’ll struggle to pick the perfect arrangement? Then choose from their daily designs which change, as you guessed it, daily. Psst! Christmas inspired flower bouquets are the choice bouquets these days, so snap one up for your boss or friend this season! Happy Bunch has also included a nifty date reminder widget for when you’d need to send these flowers, so you’ll never ever forget. If they’re for a romantic occasion, continue the romance at one of these dinner date places after! Take note to order before 12.30pm for same day delivery. This is one of the best and more affordable flower delivery online stores in Singapore, so you might want to bookmark this page now! 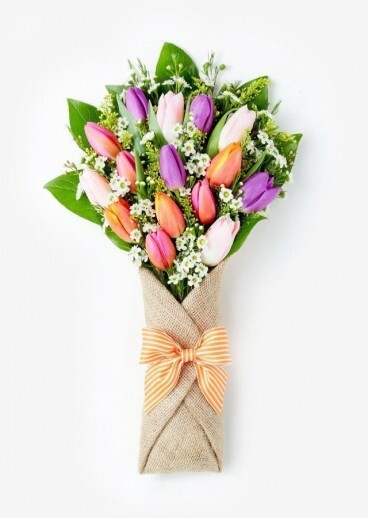 Want to send flowers to a friend who needs a cheer-me-up? A Better Florist promises to do this in 90 minutes flat! This premium flower delivery online store in Singapore packs fresh, multi-hued flowers in their signature burst-of-colour flower arrangement style for every occasion! If you’re doing a last-minute flower delivery, then choose from the signature blooms, some of which even come in glass vases — perfect for your friend to keep on his or her office desk! Nothing really says romance like a bunch of classic red roses. 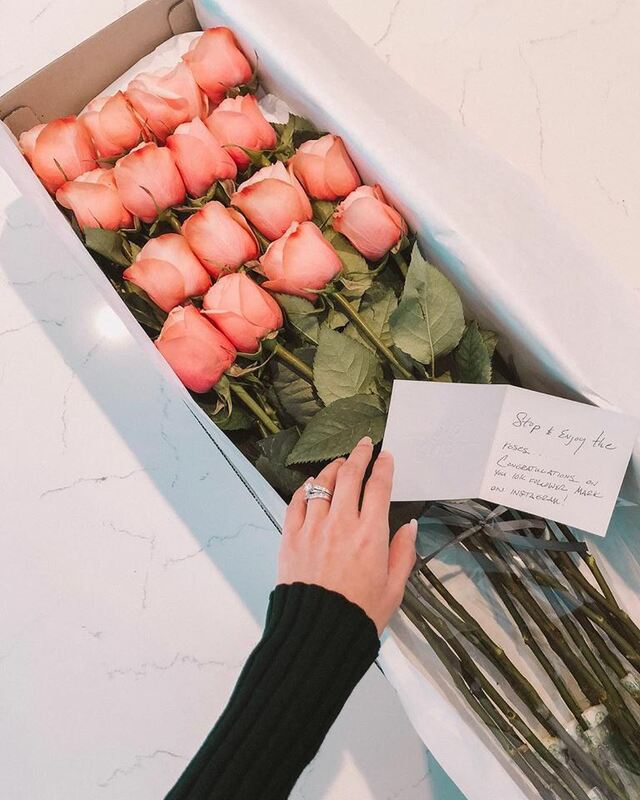 You don’t have to buy a 99 rose bouquet for your other half but you could come pretty close with just a rose-only gift box from an online florist in Singapore! Roses Only Singapore, sells long-stem roses in a variety of colours – pastel pink, cherry brandy and white cream among others. 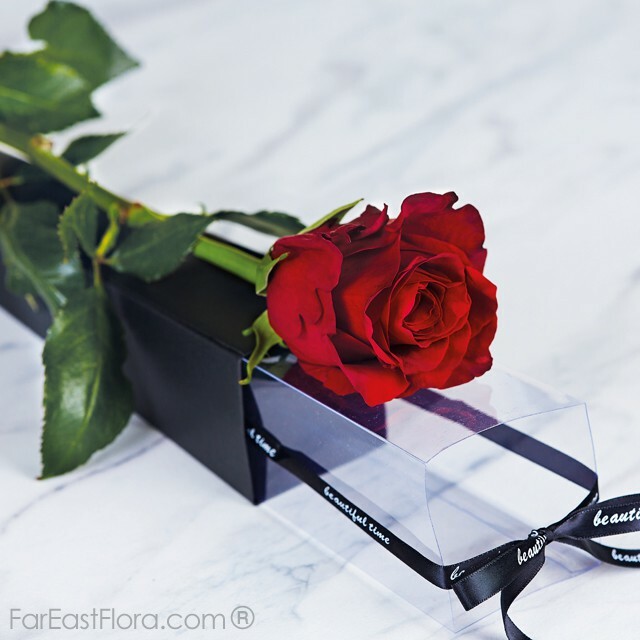 Pick your preferred colour and leave it to them to encase the delicate roses in their signature gift box. Don’t stop with just a flower delivery. 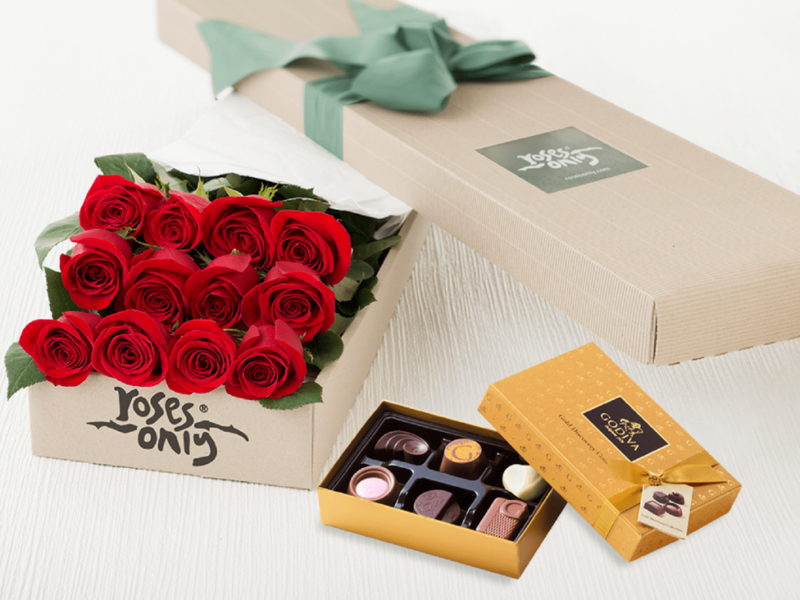 Send along a box of decadent chocolates or even a bottle of bubbly champagne to show your adoration for her. This will also definitely resolve any conflict if there’s one! Craftway Floral curates flower arrangements for birthdays, anniversaries, graduations and also specialises in indoor plants for your living space. 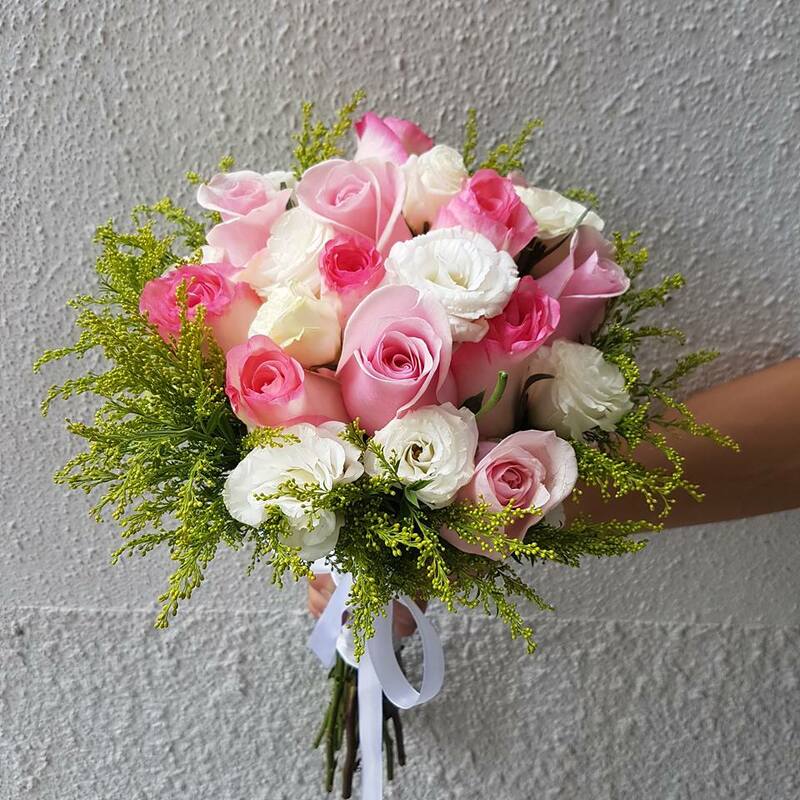 Plus, it is also regarded to be one of the most affordable flower delivery stores in Singapore for bridal bouquets. Talk about being a Jack of all trades! 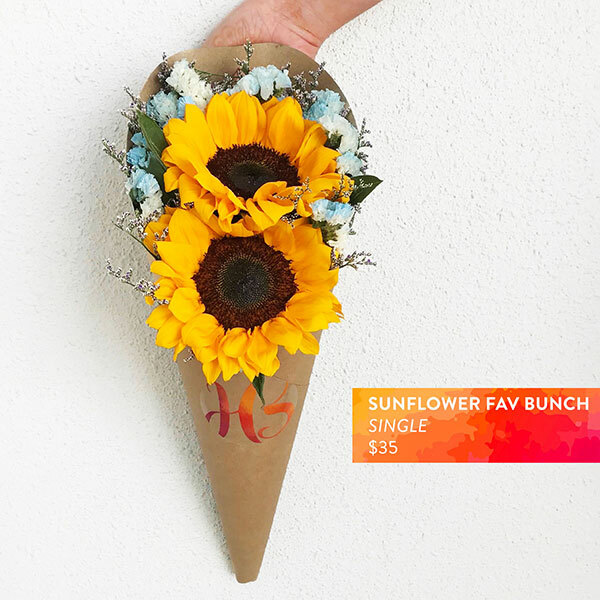 We know how crazy wedding costs can be in Singapore, so why not save (on wedding bouquets) where you can! 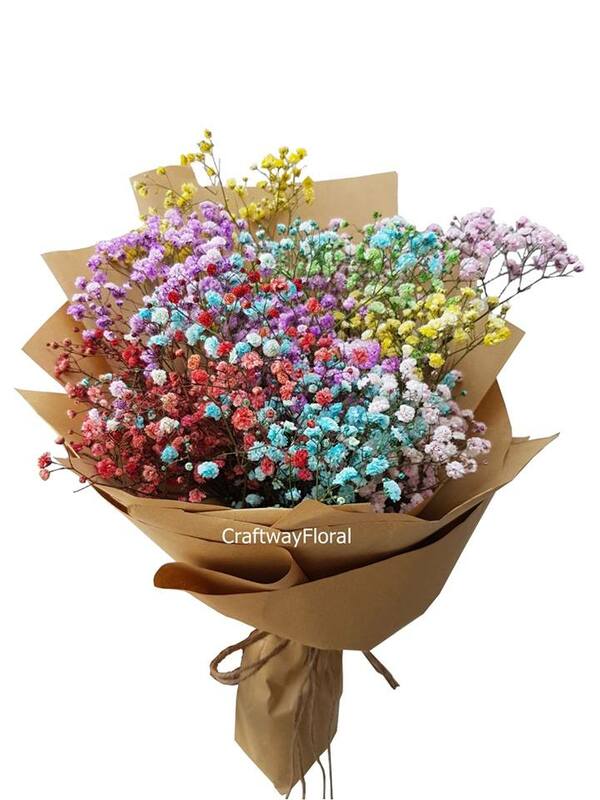 If you’re uninspired by the usual selection of flowers online, you can be sure to find unique handcrafted flower bouquets with this online florist in Singapore — perhaps the above Rainbow Baby’s Breath bouquet? Whichever you decide with, Craftway Floral’s exquisite and pocket-friendly range will leave you spoilt for choice! What we love about Poppy Flora Studio is that they dare to do things differently. They’ve taken all our preconceived notions about flower bouquets, de-constructed them and gathered the stems again to create artistic and enchanting arrangements. Scroll through their intuitive webpage, choose a design and then pick from three display styles — horizontal arrangement (pictured above), bouquet (pictured below) or bridal. Poppy Flora Studio also does flower table arrangements. 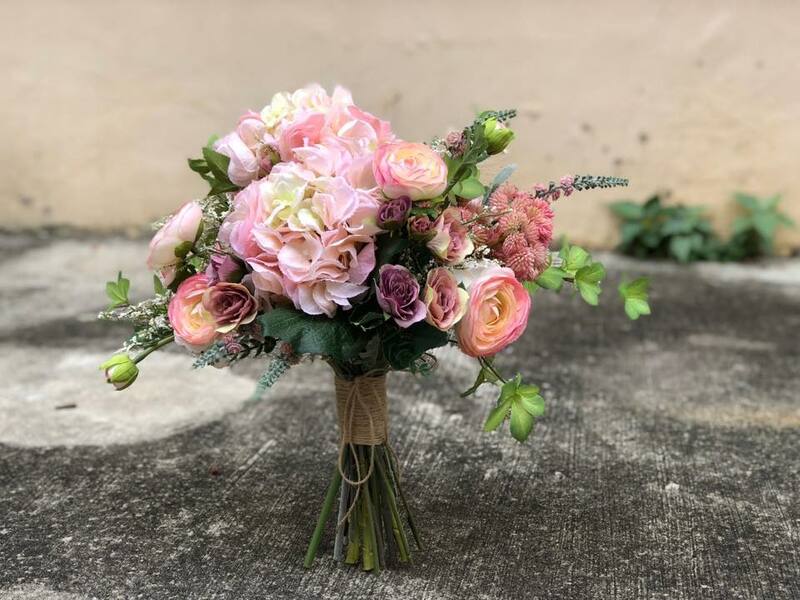 If a whimsical look and feel is what you’re going for then, this is one of the best online flower delivery stores in Singapore to get blooms from. 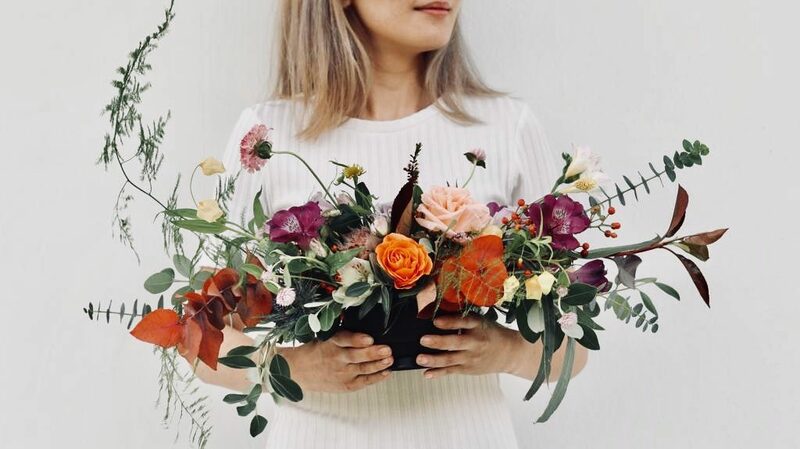 Poppy Flora Studio also hosts creative flower arrangement workshops where you might want to get your hands dirty and attempt to put together a flower bouquet for your partner instead of buying one! We hope the list above helped alleviate the notion that flowers or choosing flowers can be a daunting process. Not too keen on gifting flowers? 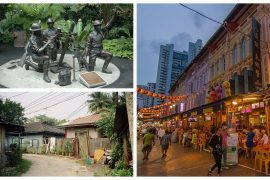 Buy experiences instead of gifts for your partner or friend and extend the surprise with our non-exhaustive list of surprise party ideas in Singapore! * TNC Applies. 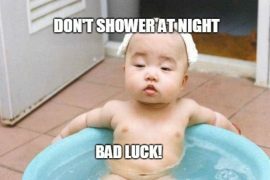 Valid for new users from 10 to 17 Feb only.